Another jam-packed October weekend full of festivals and fun. Good luck deciding what to do! Remember, some of these activities may require registration. Always check with the organizations for the most updated information or if you have any questions. We appreciate the shares and likes. If we're missing something, let us know! Compiling this information takes work, please credit or link back to Corpus Christi Fun for Kids when sharing. Click here for pumpkin patches in Corpus Christi and surrounding areas! The first Friday of every month is free public admission to the Art Museum of South Texas. The Gift Shop and Hester's Cafe also are open to the public. 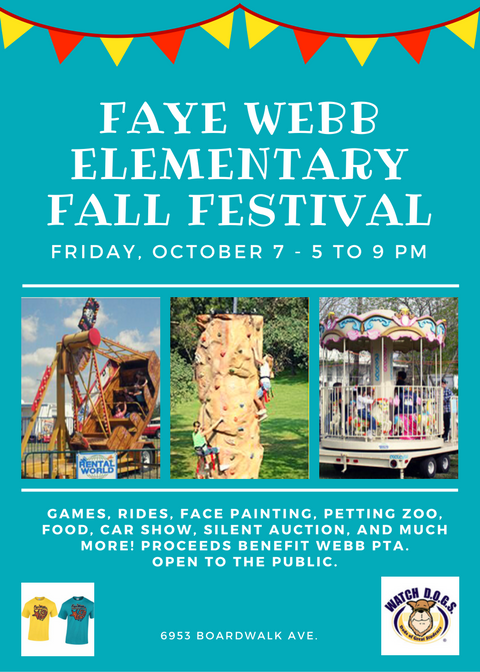 Come join us for Food, Games, Carnival Rides, Petting Zoo, Face Painting, & let's not forget their Silent Auction & Classroom Baskets! Family fun all day including ... gumbo and chili cook-offs and more delicious seafood as well as live national entertainment, festival rides, games, arts and crafts vendors, wake boarding competition, a parade, dessert and salsa cook-off, and wildly popular crab races. 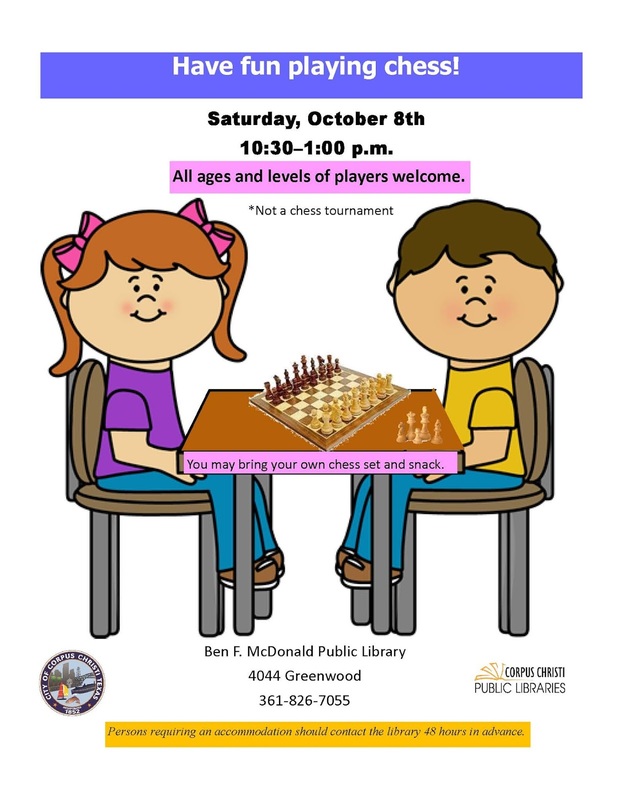 Please join us to play chess with the community at our local first Friday art walk festival. By challenging our chess kids, you are helping to prepare them for upcoming tournaments. On the first Friday of every month you’ll find artists, musicians and all things creative converge in the Marina Arts District. It's where Downtown comes alive with bands on every block, food trucks serving up South Texas fare, and art galleries featuring local and national artists. Take in the free live music and local flavors outside, find a nice watering hole to duck into for a quick drink, or grab a bite to eat. The Museum will be open late at a reduced admission price for the community to explore the Dorothy Hood exhibition. Based on the masterful adventure novel by Robert Louis Stevenson, Treasure Island is a stunning yarn of piracy on the tropical seas. At the center of it all are Jim Hawkins, a 14-year-old boy who longs for adventure, and the infamous Long John Silver, who is a complex study of good and evil, perhaps the most famous hero-villain of all time. steward will have a meet-and-greet at their library and will offer snacks and activities. Visit 3 or more libraries and your name will be entered in a drawing for a Half Price Book gift card! 3026 S. Staples; 529 Naples St.; 4629 Weiskopf Cir. ; 7738 Starnberg Lake Dr.; 3221 Seafoam Dr., 449 Pennington Dr.
Special admission offers for grandparents bringing their grandkids and for teachers. Grandparents are just "big kids" at heart! For all grandparent's bringing their grandchildren we'd like to offer you our student field trip price which will also include a trip on the cow train! (Grandparents only... Children regular admission, age 2 and under are Free!) Teacher and all school personnel (administrative, bus drivers, cafeteria workers, coaches, custodial, librarians, maintenance, principals, and office, secretaries and substitute teachers) receive FREE admission. Please bring a valid id or copy or screen shot of a pay-slip (just name and employer is all we will need) ton for yourself this weekend! Cost: Admission prices (3-64) $10.00 + tax, Seniors (65+) $ 8.00 + tax, Children 2 and under are free! Cow train ride is $1. Ticket booth closes 30 minutes before posted closing time. 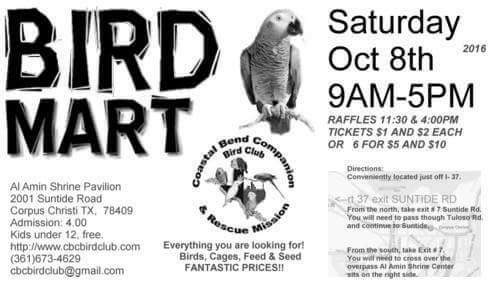 Browse hundreds of vendor tables that will include thousands of reptiles, amphibians, invertebrates, feeders, and other exotic pets. 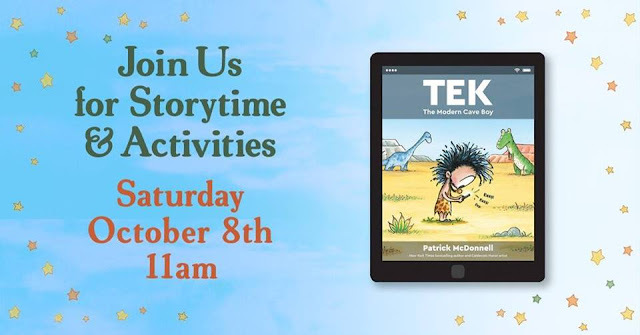 There will be educational talks both days, a new Kid’s Corner for an amazing hands on experience, as well as a silent auctions to benefit TxARK and USARK at all shows. Keep up with us on Facebook for updated vendor lists, news, specials, and ticket giveaways. It's the ultimate tug of war challenge... and a GREAT team-building event! Gather a team of 10 and join in the Corpus Christi Fire Truck Pull Challenge. Your team will play "tug of war" with a 55,000-lb fire truck on. Registration is at 9 am. Visit for more info! Celebrating the Port Aransas Island Community! Parade, chapel tours, surfing contests, boat festival and more. 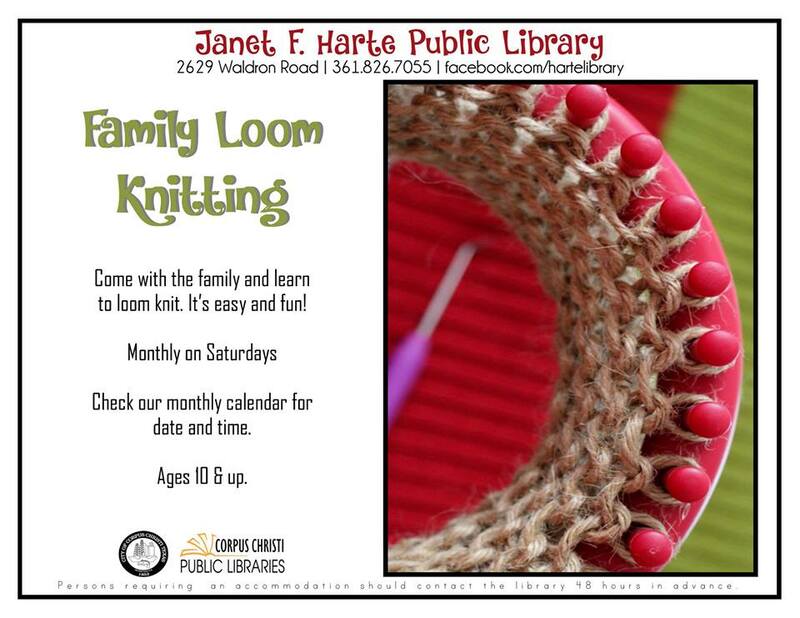 Open to the public and fun for all ages! 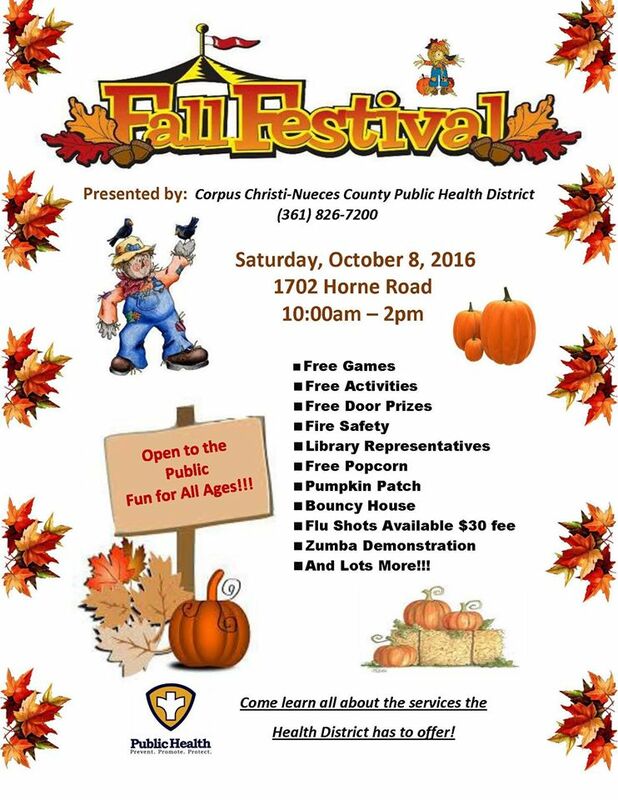 Games, activities, door prizes, pumpkin patch, bouncy house, flu shots available, Zumba demo & more! Not a chess tournament. All ages and levels of players welcome. You may bring your own chess set and snack. 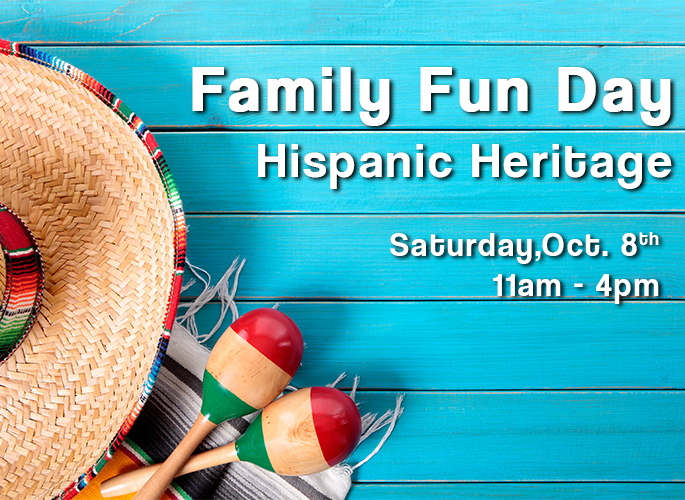 It’s Hispanic Heritage month and we will be celebrating at the museum! 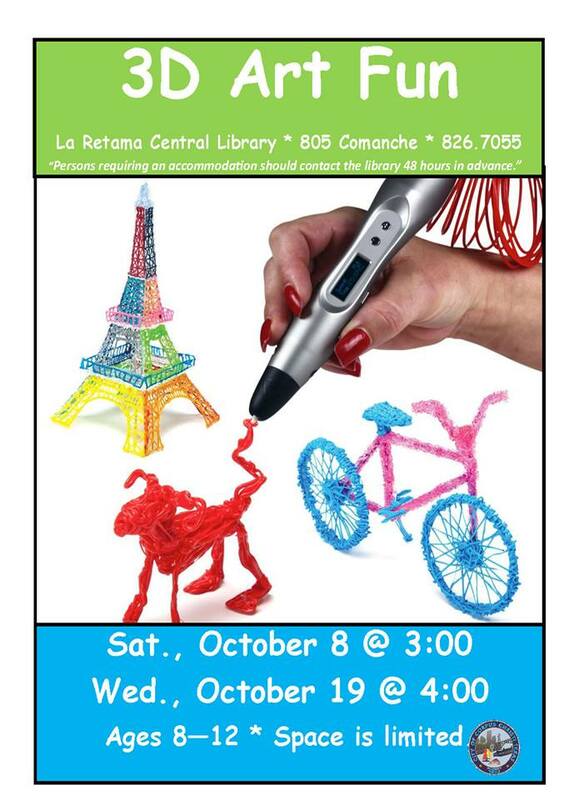 Come enjoy fun crafts and activities as we learn about the rich Hispanic culture. Tek is a caveboy in love with technology! His tablet, video games, phone and TV keep him deep in his cave, glued to his devices, day in and day out. He never sees his friends or family anymore - and his ability to communicate has devolved to just one word: "UGH"! Can anyone in the village convince Tek to unplug and come outside into the big, beautiful world? Join us at Storytime to find out! 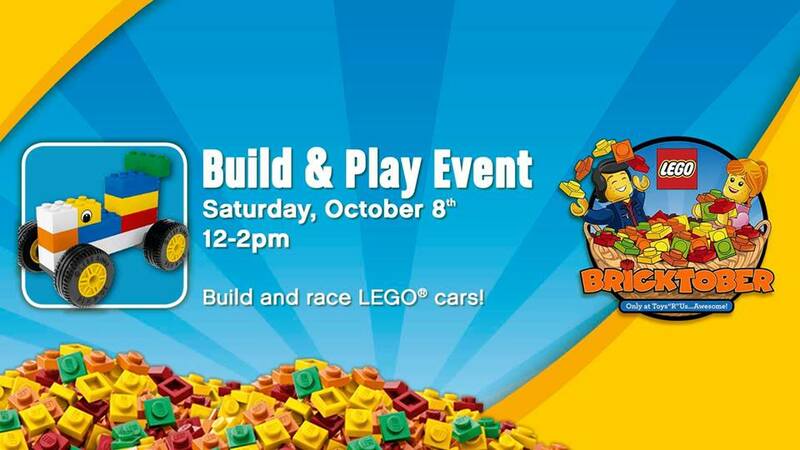 Event is intended for ages 6-up. Parental supervision is required at all times for minors. All giveaways and event materials available while supplies last and distributed to participants only. Limit one per customer. Quantities limited. No rain checks. Make a pumpkin themed t-shirt. Cost: Buy the t-shirt and the rest of the supplies are free. Help us celebrate with tours of the shelter and mobile clinic! Please bring an item off our wishlist: Tidy Cats Clay Litter, hand sanitizer, paper towels, dish detergent, dishwasher detergent, Friskies or Fancy Feast canned food, Swiffer Dry Pads. Free pizza and lemonade! Ever want to learn how to kayak? Come down to the picnic area by the long fishing pier and take one out for a spin on beautiful Lake Corpus Christi! Park Rangers will have all of the kayaks, paddles, and equipment available for check out and will provide instruction. So come on out and take a paddle with the Rangers! 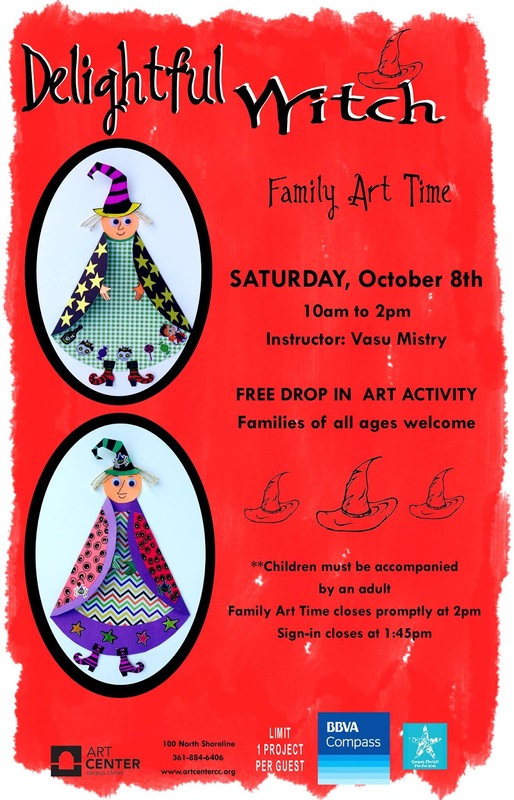 Come one, come all to the Fall Festival!...at the Villa! We will have Pumpkin Ring Toss, Fish Pond, Corn Hole Toss and other games, along with fresh baked cookies, popcorn and I'm sure a whole lot of laughs! This is a great opportunity to bring your family and friends. It is especially nice for the residents to visit with children this time of year and as we get closer to the holidays. All ages are welcome. Join us! For kids ages 8-12. Space is limited. Strange things are creeping along Corpus Christi Bay. 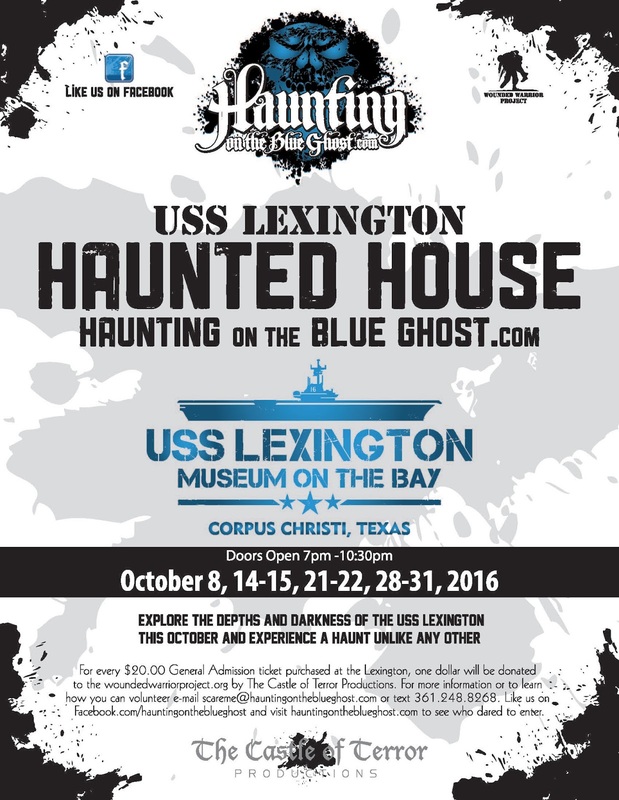 LEX will be haunted from and the ghosts will be waiting for you! The terrifying tour takes the bravest of souls down to the 2nd and 3rd decks of the WWII era aircraft carrier to spaces never before opened to the public. You should be ready to handle steep ladders, dark corridors, creaky hatchways and unimaginable sights, screams and sounds. This is an intense haunted experience – think twice before enlisting! Ages 6 and up, must be able to navigate ladders and confined spaces. Registration starts at 7:15 am and Walk begins at 8:30 pm, BridgeWalk is a monthly opportunity to get some exercise with a one of a kind view. The bridge route takes you up and over the beautiful Corpus Christi Harbor Bridge. The Alternate route for those with strollers, small children, and animals can take the scenic route down along the water to the Marina T Heads and back. Both routes are measured to be 6020 yards (3.42 miles). Arts and crafts. BBQ plate $10. FREE Demos of kayaks and paddleboards. Come out for the fun and the new: "The Predator PDL is the most highly-anticipated sit on top kayak of the year. Its predecessors, the Predator 13, Predator MX, and Predator Minn Kota, have all been top selling kayaks. This boat too has been highly touted, and was awarded “Best in Show” at the Las Vegas Icast Awards this year. It features an easily operable/removable Pedal Drive system offering fast and maneuverable, one-hand-operated rudder steering. Smooth, quiet, and easy to pedal; this kayak will surely be a hit with anyone interested in pedal-driven kayaks." 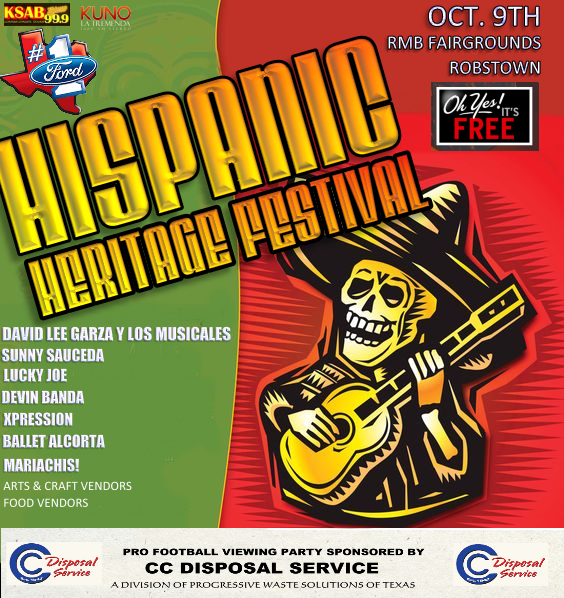 Music, food, arts and crafts, vendors. Fun for the whole family! Live music, food, drinks, and sweets, bingo, cakewalk, children's games, moonwalk.